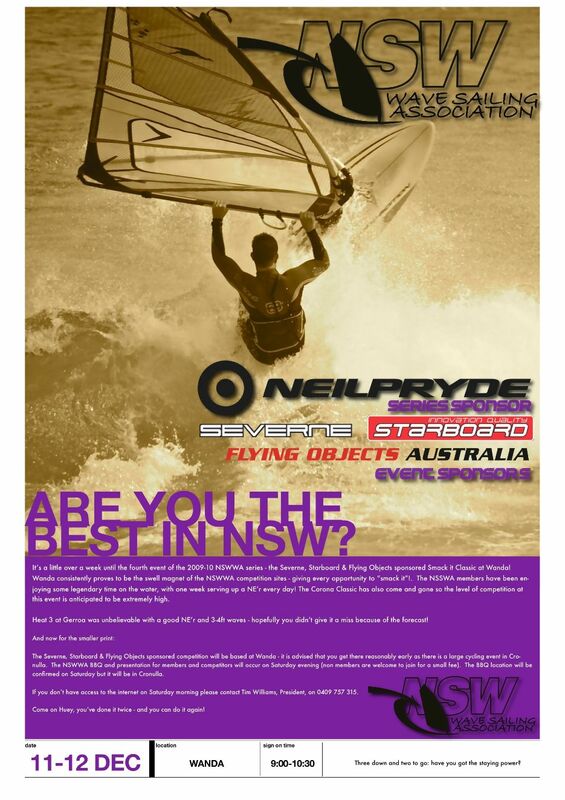 Pro’s, Ams, Ladies, Juniors, Masters and the yet to be decided, NSWWA in association with our event sponsor, The Windsurfing Shed and series sponsor Neil Pryde are proud to bring you Event 4 of the 2011/12 NSWWA season. 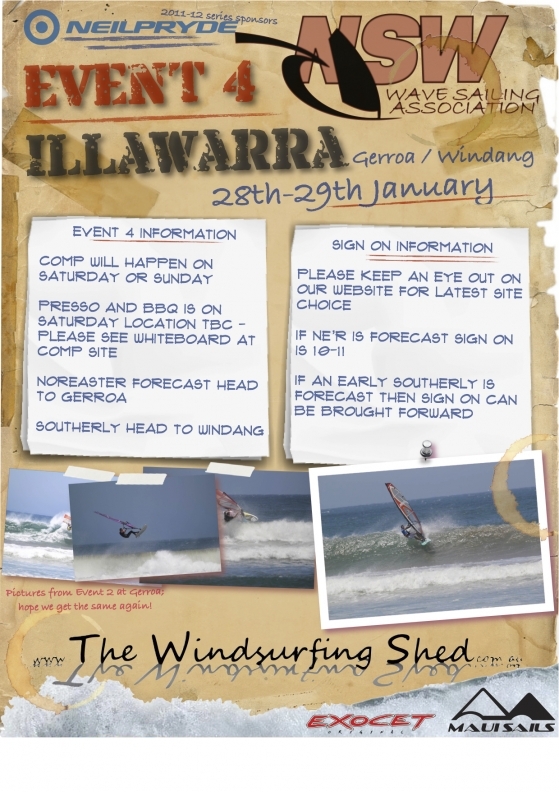 We are all hoping that conditions are similar to the last event at Gerroa (see www.nswwavesailing.org if you the only person in NSW not to have seen the pics!). Please remember that this weekend is just after Australia Day so accommodation may be a little harder than usual to come by. We hope to see the regulars and as many new competitors as possible. See you in Gerroa! (or Windang if Southerly).